Like it hasn't already? Apparently not enough so. There are currently 21 flavors of the Porsche 911 on sale right now in the US. 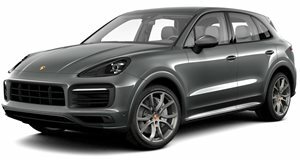 At the opposite end of the sport car spectrum, the Cayenne can be had in eight different variations. To avoid far too many numbers, we’ll pass on the rest of the lineup’s offerings, but you get the idea. As it turns out, Porsche isn’t done with variants of existing models, specifically for the performance market. 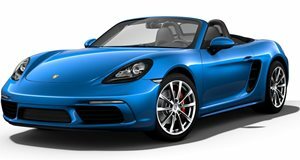 According to The Detroit Bureau, Porsche will unleash performance car fury over the next few months with more than 20 new variations of its North American lineup. “Demand for performance cars in the US has never been stronger,” states Porsche USA CEO Klaus Zellmer. This is a simple case of supply and demand. Zellmer also mentioned that his company’s US lineup “has never been better balanced between two and four door models.” US market sales have been going amazingly well too, with an increase of 3.6 percent last month alone. 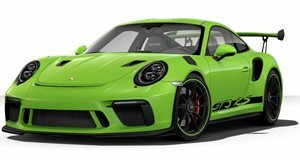 This year’s New York Auto Show is also the venue where the updated 911 GT3 and GTS, and Panamera Sport Turismo and Turbo SE Hybrid are having their US debuts following global reveals last month in Geneva. Zellmer didn’t announce which Porsches will see new performance variants, but if we had to make a few guesses, we’ll go with the 718 Boxster and Cayman as well as the Macan and Cayenne. Why those? Because the former are now only sold in either base or S trims (not including the Cayman GT4), and the latter are SUVs. Enough said. We’ll have our answer soon enough, though.